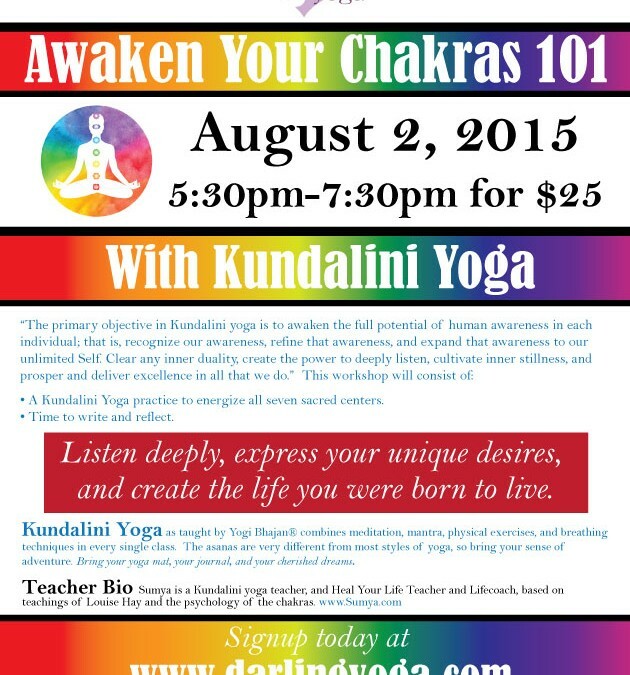 August 2, 2015 from 6:30pm to 7:30pm at Darling Yoga. Come experience the powerful technology of Kundalini yoga! Asana, mantra, meditation – all in one practice. Strengthen the body, clear the mind, open the heart!